ORLANDO, Fla. -- A bill filed by a local state lawmaker could make it easier and faster for homeowner associations to foreclose on people who haven't paid their HOA fees. But some homeowners are concerned that the legislation would give HOA’s too much power. 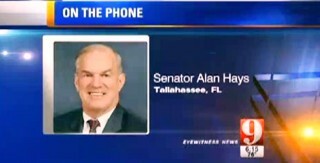 Channel 9’s Lori Brown spoke with Sen. Alan Hays, who said it's all about fairness. which quickly turned into thousands of dollars, the family said. “In my case, the HOA jumped the gun and got a law firm involved way too soon,” Fraizer said. 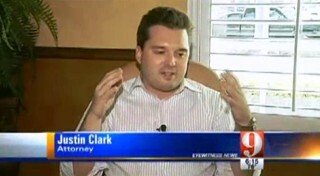 Attorney Justin Clark is concerned the new legislation would make it even harder on homeowners like Fraizer who are trying to dispute paying HOA legal fees. “It's ridiculous,” said Clark. “HOA’s are like mini-governments already. They have so much power it's unbelievable. We need a bill to the contrary giving them less power." HOA dues while they dispute past charges. Proponents of the bill said that would end frivolous disputes against HOAs. “These people that are owed money need to be paid and paid promptly,” said Hays. Hays explains that HOAs are responsible for expensive landscaping in common areas. If they aren't paid their dues, they can't afford to maintain the grounds, officials said, which brings property values down. “We're just trying to establish a level playing field,” said Hays. But Fraizer thinks the law is already slanted in the HOA’s favor, and he said his $2,000 bill proves it. A separate bill filed by Hays would bring more state oversight to HOAs. It would prohibit HOA directors from receiving kickbacks and remove directors charged with crimes.